The Microbiome Medicine Summit 2 is taking place now, from May 8th to 15th. The summit’s host, Dr. Raphael Kellman, has seen the profound healing power of microbiome medicine and how it can address many diseases. Microbiome refers to a community of microorganisms (bacteria, archaea, fungi and viruses) in a particular environment, like in your body. For every one of your cells, there are 10 microbial cells, helping you to perform life-sustaining functions. Don’t miss 33 amazing experts teaching the lessons and methodologies of microbiome medicine. The medicine that can improve your health, longevity, vitality and assist with unresolved problems. The Microbiome Medicine Summit 2 will help you enhance brain function, mood, anxiety and depression; address gastrointestinal illnesses, including IBS, Crohn’s and colitis; counter newly identified GI/brain syndromes; and address autoimmune diseases (at the root cause!). 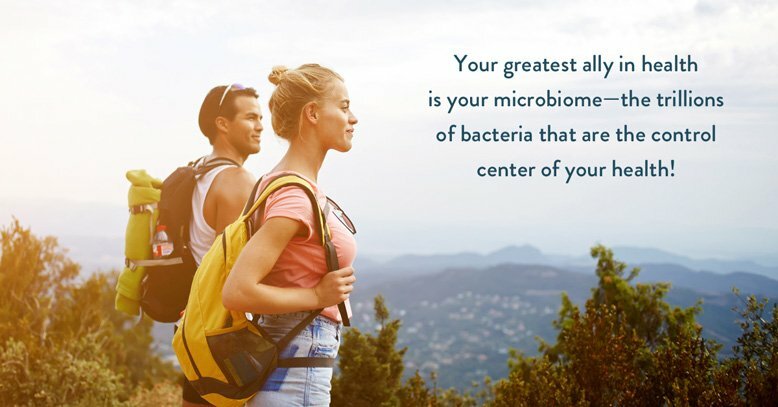 Join The Microbiome Medicine Summit 2 for FREE until May 15th. If you miss the summit, you can purchase all of the expert talks here. Help us reach more people struggling to live healthy lives (thank you for supporting the mission! ).